Here are some sample tracks from the CD that was produced by some of the artists appearing at the 2015 Mitcheldean Folk Festival. 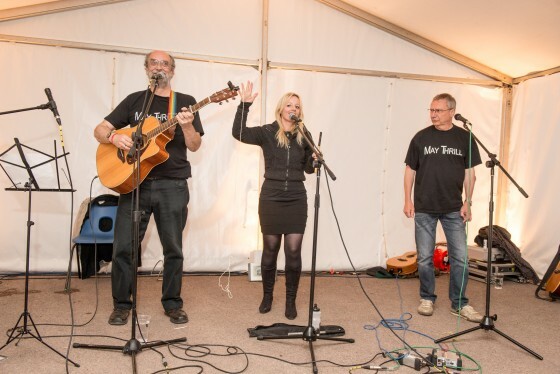 May Thrill in concert at Mitcheldean. L-R: Bill Taylor, Hazel Baker, Roy Stirzaker. You can get your copy by visiting Mitcheldean Folk Club or contact the Administrator [Mobile] to order online.